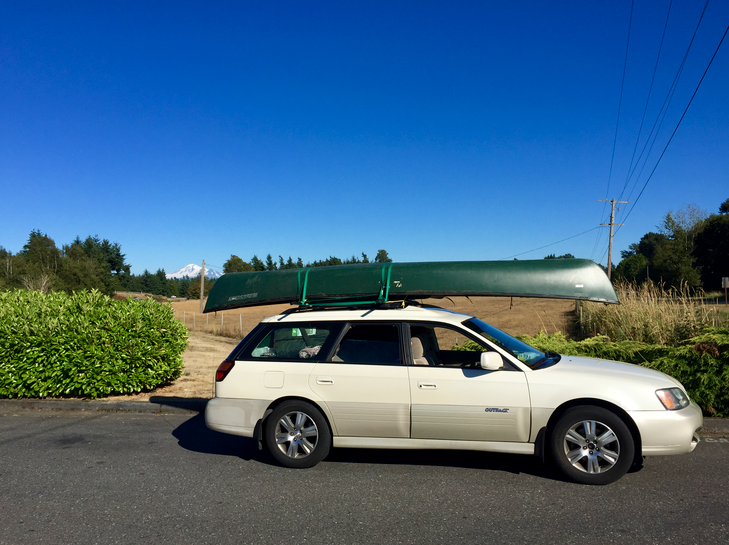 Moving to Alaska – Day 1. We left Seattle on a hot summer day. It has been hot in Seattle, so this was nothing new. We have semi planned a route, but it mostly was “keep the ocean on the left” and “stop when we feel like it”. 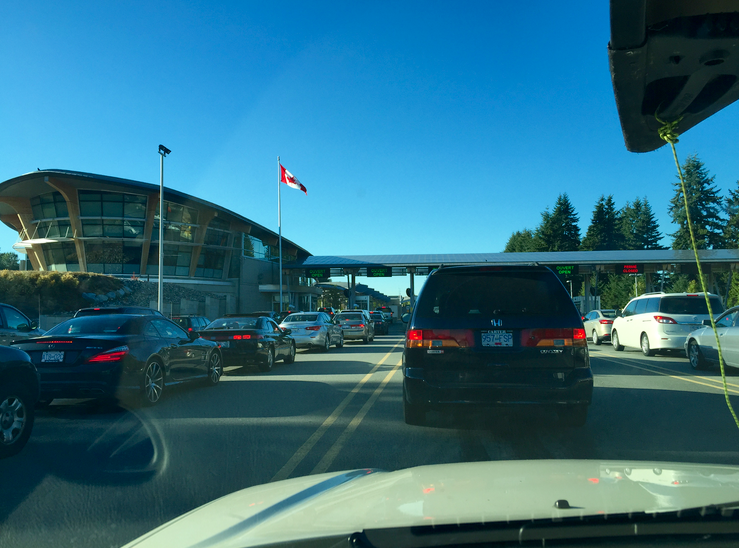 We hit the border where we declared that we had an illegal firearm. Oops. I guess you can big a large canister of bear spray into Canada, but a small pepper spray on your key chain is not allowed. We were detained, and the dogs were put in a kennel while they searched our meticulously packed car. The border patrol made sure to take things out and let us repack the car we had just packed a few hours ago. Not being deterred, we witnessed an amazing sunset and moonrise (at the same time) as we drove through Vancouver. We arrived in Squamish around 9:30 or 10 at night. We had heard about the world famous rock climbing and hoped to camp near the crag. We arrived on a Thursday and thought that the weekend crowd from Seattle and Vancouver might not be there yet. Boy were we wrong. An international crowd of typical climbers were at the campground by the hundreds. Now I love vagabonds, gypsies, and dirtbags as much as the next climber, but arriving late, it just didn’t feel right. We left a small circle of didgeridoo players in the rearview mirror and we proceeded back to the privately run campground we had passed just a couple of kilometers before. This entry was posted in adventure, moving and tagged Alaska, moving, travel, washington by Rory. Bookmark the permalink.